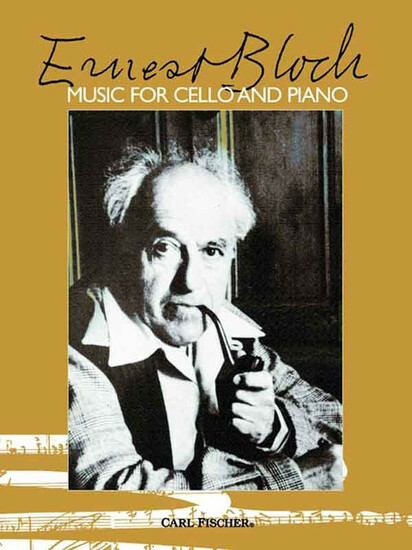 Ernest Bloch (1880-1959), the great Swiss-born Jewish composer, was particularly fond of the Cello. A student of the Violin as well as composition, he wrote two of his most notable works for Cello and Orchestra (Schelomo and Voice In the Wilderness). The volume collects the Bloch works written or arranged for cello and piano into one book. The works included are: "Prayer," No. 1 from Jewish Life, "Supplication," No.2 from Jewish Life, "Jewish Song," No. 3 from Jewish Life, Meditation Heraique, and "Nigun (Improvisation)," from Baal Shem (Three Pictures of Chassidic Life).